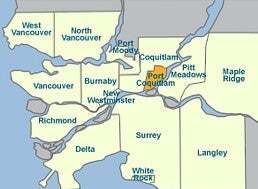 Port Coquitlam is centrally located in the Lower Mainland between the Fraser, Pitt and Coquitlam rivers. With over 266 hectares of parkland within its borders, the community offers an extensive system of outdoor trails perfect for cycling, hiking and leisurely walks. Visit the Neighbourhoods section to learn more about Port Coquitlam.